There are a number of ways that you might want to refine your query results that are difficult to do with current table columns; pseudo columns can greatly simplify this. 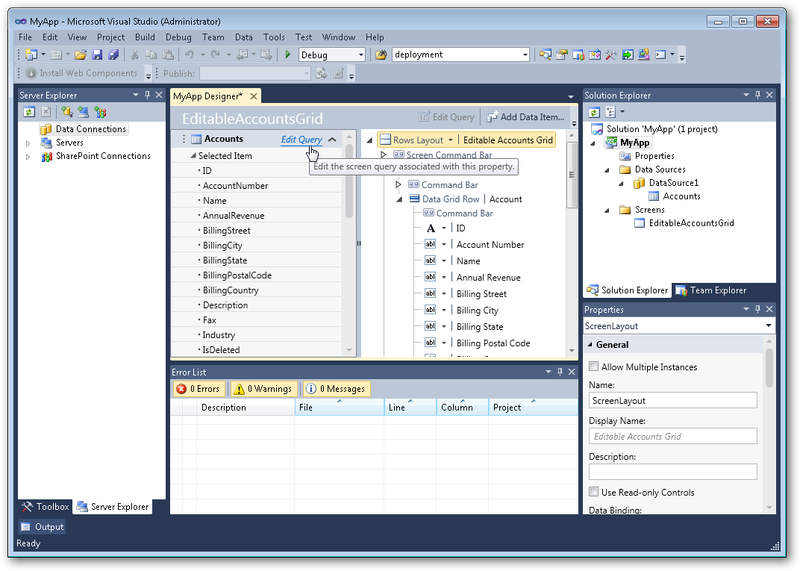 This example shows how to use pseudo columns from a LightSwitch application. 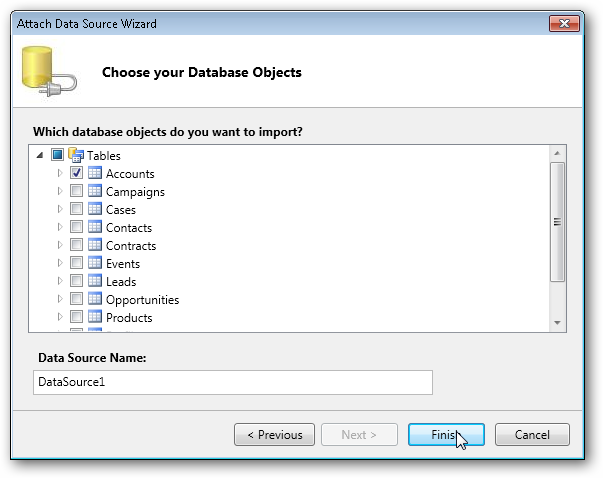 You can follow the steps below to expose the pseudo columns for any CData Data PRovider. This article uses Salesforce as an example. Passing the pseudo columns to the data provider allows for more granular control over the rows that get returned. 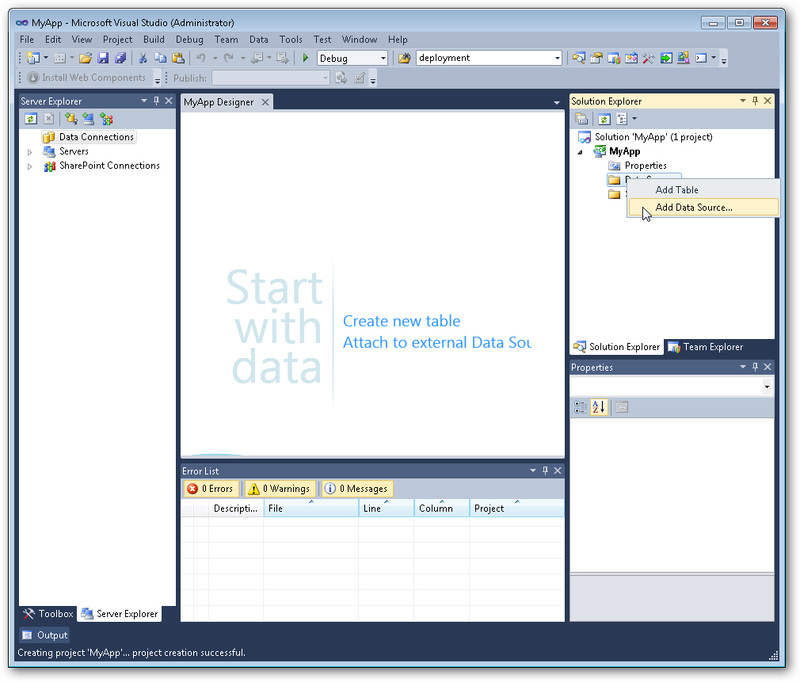 Since they are special entities for Tables and Views they do not exist in the data table returned and cannot be read. For a list of the pseudo columns available with a particular Table or View confer with the help file supplied with the CData Data Provider. The pseudo columns are not available by default however so the rest of this tutorial will show you how to add them into your project. 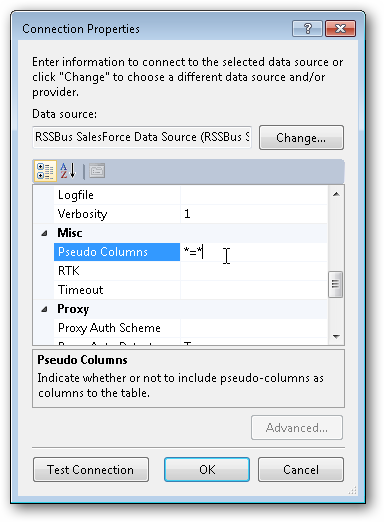 Follow the steps below to enable pseudo columns for a Salesforce connection. 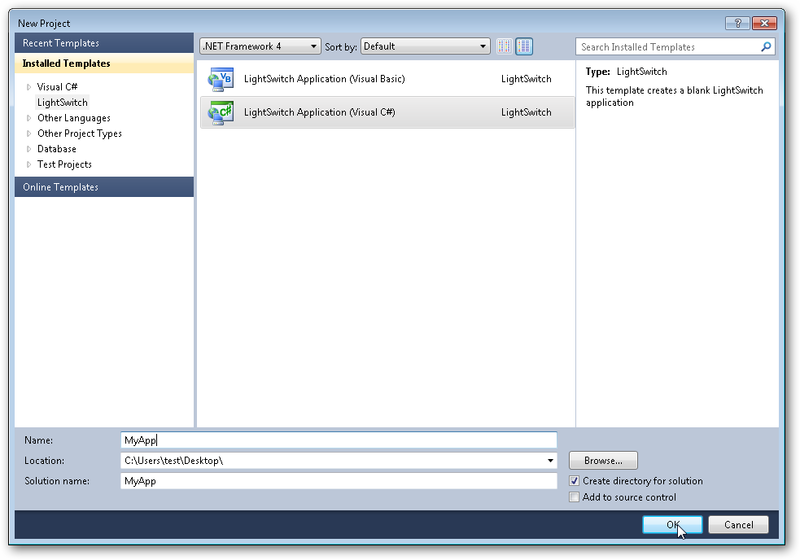 Create a new LightSwitch application: Click File -> New -> Project (or Ctrl+Shft+N). 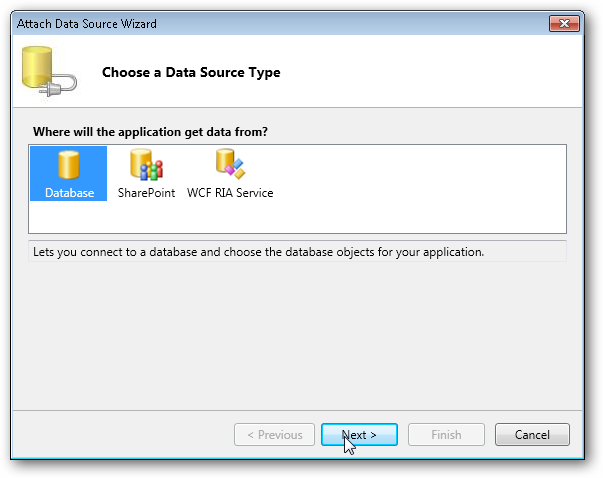 In the Connection Properties Wizard enter your credentials. To connect to Salesforce you will need to put in your user name, password, and access token. To expose the pseudo columns all you need to do after this is enter *=* in the Pseudo Columns box in the Misc section. Select the Tables and Views you wish to expose. For example, Accounts. For a guide to creating a LightSwitch screen, see Connect to QuickBooks From LightSwitch Applications. 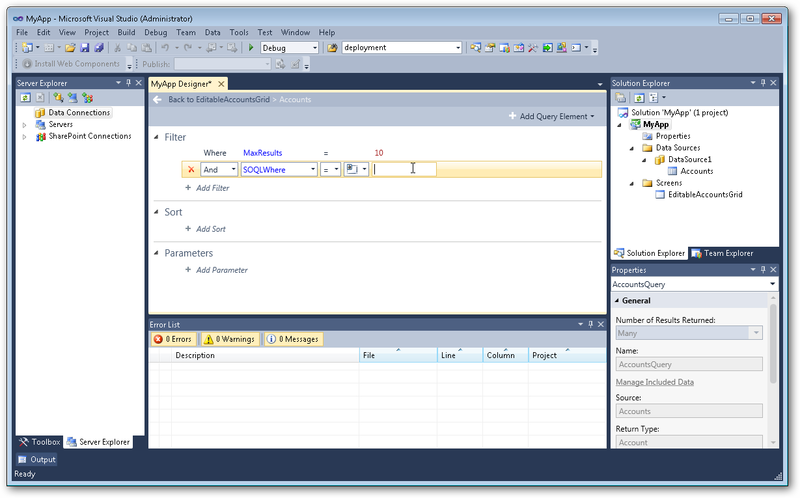 Once you have created a Screen you can now query from the available columns and pseudo columns. Once you have created the screen, click Edit Query on the designer page. Click Add Filter in the Filter section and select from the available column and pseudo columns.